Eternal Rainbow Sea provides us with a rare glimpse beneath the ocean. Teeming with marine life and vibrant with color, this unique masterpiece captures the light overhead and uses it to illuminate the reef below. 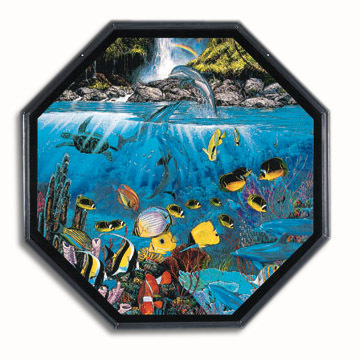 All that is playful and colorful on the coral reef combines with the promise of the rainbow to pay tribute to one of nature's most spectacular gifts.